Figs are in season right now and if you are unsure of how to use them, here's a quick and easy recipe with only 3 ingredients. Eating fruit and vegetables when they are in season makes so much sense. It's at it's best, in terms of taste and flavour. It is the most reasonably priced you will find it all year and it generally has low food miles. Look at all that goodness right there oozing from those little bundles of joy. A healthy diet should be high in fruit and vegetables of these bright colours and figs fit the bill, as they are low cal and high in dietary fibre and anti oxidants. I use Danish feta. Mayer Brand is delicious and the most reasonably priced. I have found it at Woolies and Harris Farm. I call it the poor man's goats cheese, as I think it has all the taste and texture of goats cheese, but at half the price. Take about 6 large figs and chop them in half length ways. 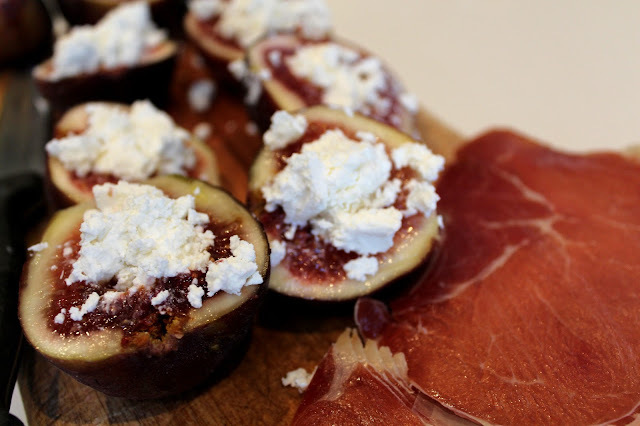 You can use small figs too, if you are serving this as an appetiser. Put half a teaspoon of Danish feta on the cut side of each fig half. Secure with a tooth pick and arrange on a baking tray lined with baking paper. Bake for 20-25 minutes and watch that your prosciutto does not go too dark in the oven. 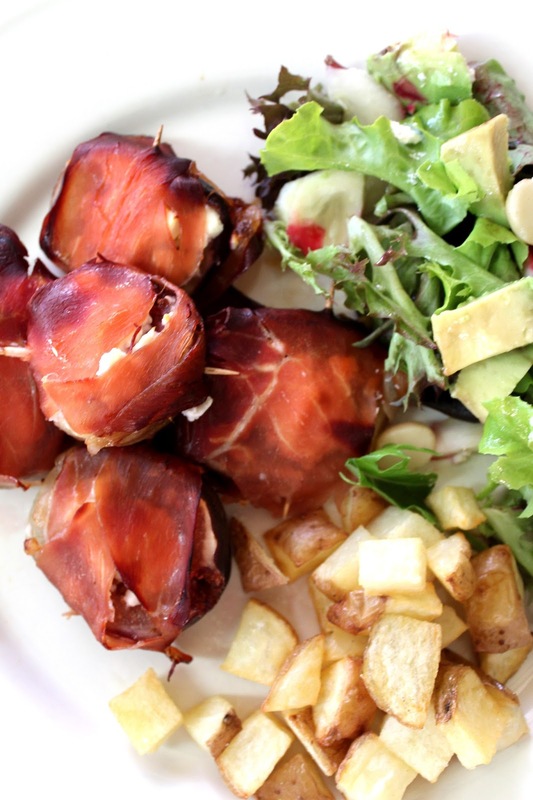 I just covered the top of my figs, as my prosciutto seemed to fall apart width wise, rather than length wise. 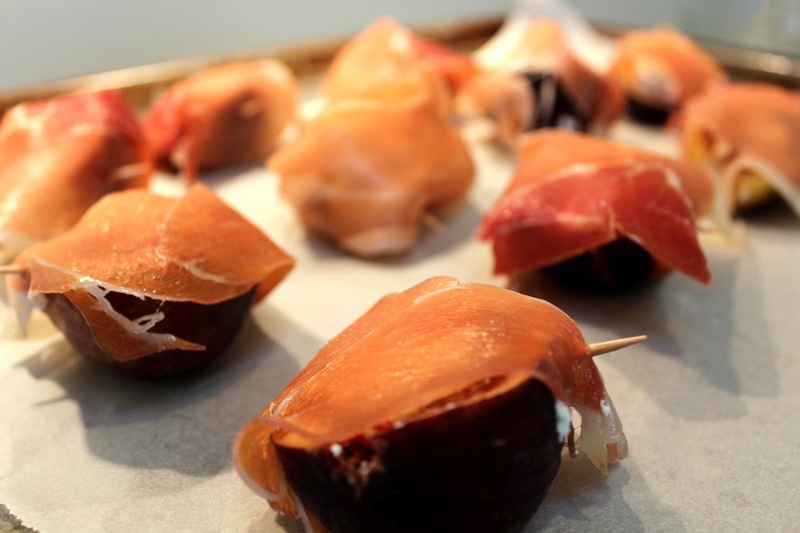 You can do this if you are serving the figs as a main mean, but for apertiser you will need to wrap the whole fig with prosciutto cut length wise, so they are easy to eat as a finger food parcel. We had these ones for dinner with simple roasted potatoes (skin on for best nutrient count) and green salad. By the way my weight loss is going well and I hope to be able to report soon that I have shed a few more kilos. My waist measurement is reducing, but I don't own any scales so who knows. For all my other quick and easy family recipes go here. a beautiful recipe.. sounds deiish! Yum, I love figs and this sounds delicious. Thanks for sharing. 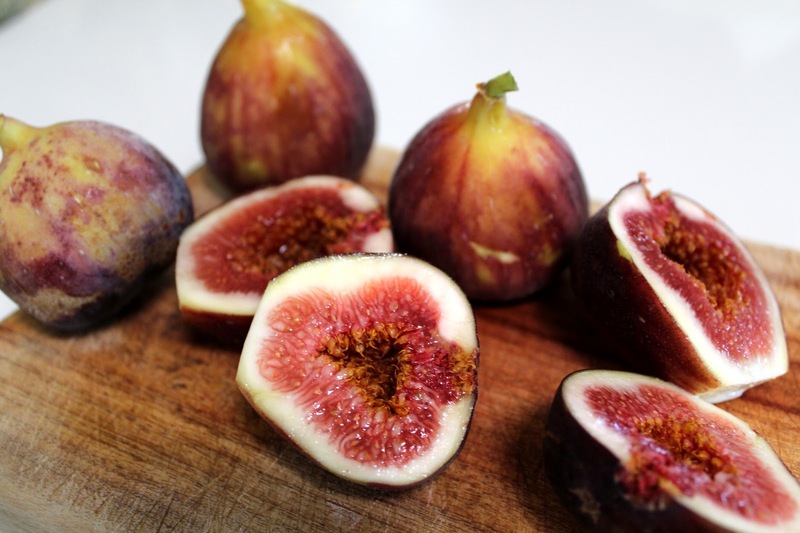 I see plenty of figs around now, so this may be a good time to try out this recipe. It sounds pretty easy to make. That looks divine - I love figs & I have just discovered that my new house has a fig tree ... how handy! Figs are one of my favourite things and I loooooove this combination. My Italian green grocer recommended a recipe just like this to me recently using ricotta and I haven't tried it, but now I've seen your pictures I think I must. I'm always sad when the fig season finishes.